PUBLIC SERVICES SHARE SPACE. 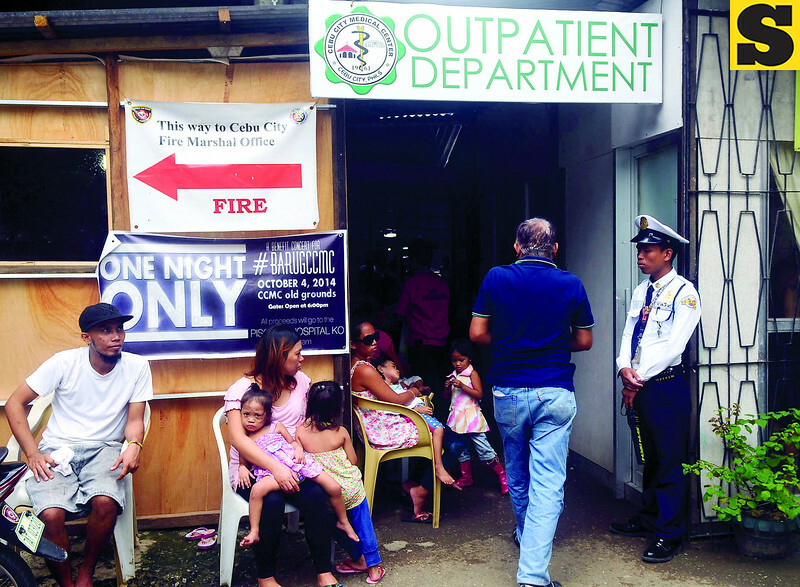 The temporary Outpatient Department of the Cebu City Medical Center receives around 300 persons every day. Supervising nurse Francisco Gica says the hospital starts accepting these walk-in consultations before 8 a.m. to prevent long lines. In this photograph taken last Oct. 7, the direction to the temporary office of the fire marshall looms above the invitation to a fund-raising concert on the old CCMC grounds.